1 Federal Census, NY, New York County, 1930, Manhattan, E.D. 31-877, Sheet 24B, Image 48 of 50, Ancestry.com (Online Census Images). 2 Federal Census, MA, Essex County, 1900, Lawrence Ward 02, E.D. 325, Sheet 11A, Image 21 of 44, Ancestry.com (Online Census Images). 3 Federal Census, NY, Kings County, 1920, Brooklyn A.D. 10, E. D. 544, Sheet 4B, Image 8 of 21, Ancestry.com (Online Census Images). 4 Massachusetts Vital Records, 1841-1910, Lawrence, Vol. 403, p. 302, Birth record for George H. Kennedy, New England Historic Genealogical Society (Online Database). 5 New York, Abstracts of World War I Military Service, 1917-1919, Military record for George Harris Kennedy, Ancestry.com (Online Database). 6 New York, New York City Municipal Deaths, 1795-1949, Death record for George H Kennedy, FamilySearch.org (Online Database). 7 U.S., World War I Draft Registration Cards, 1917-1918, Draft registration for George Harris Kennedy, Ancestry.com (Online Database). 8 Davis, William Thomas, Professional and Industrial History of Suffolk County, Massachusetts, Vol. 2, Unknown: The Boston History Company (1894), 551, Google Books (Digital Library). 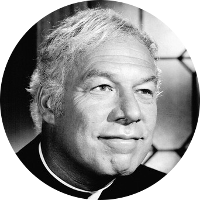 9 IMDb, "George Kennedy Biography", (accessed 05/15/2015). 10 Wikipedia, "George Kennedy", (accessed 05/14/2015).